Flamingos or flamingoes are a type of wading bird in the genus Phoenicopterus, the only genus in the family Phoenicopteridae. 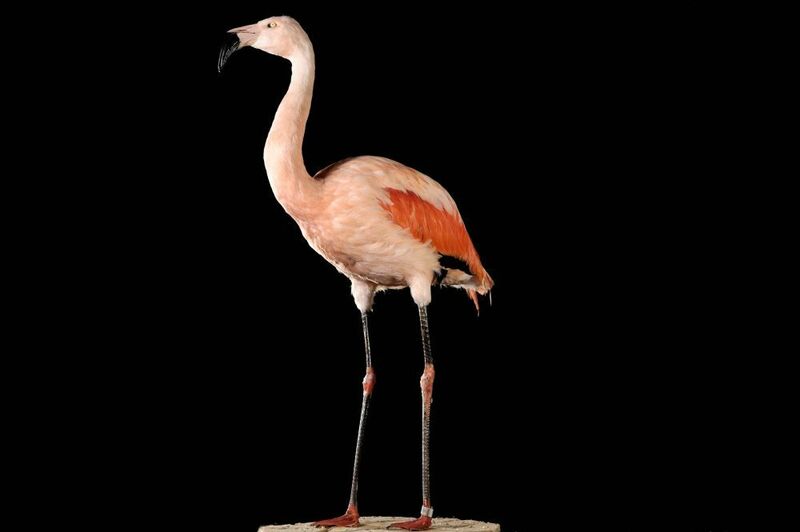 There are four flamingo species in the Americas and two species in the rest of the world. The Chilean flamingo is a species of flamingo closely related to Caribbean flamingo and greater flamingo. 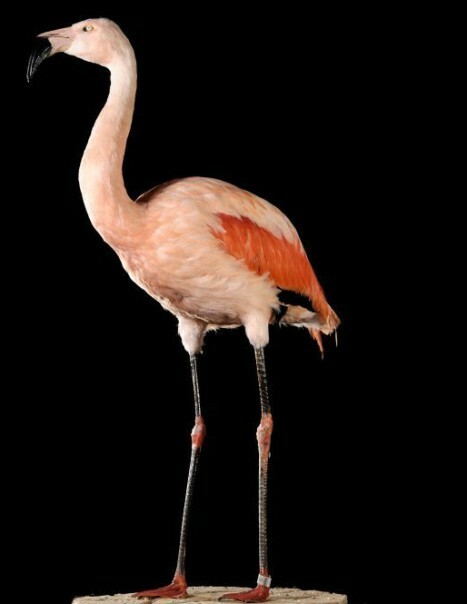 The Chilean flamingo guards its pink plumage like its cousin the traditional European flamingo. However, the distinction is made with its gray legs with pink joints and also by the extent greater black on its beak. This is a very large species, about 1m10 to 1m30, 80cm high and weighing approximately 2.5kg. It is smaller and lighter than any other flamingos. It has a long and curved neck, short tail, its fingers are short and its webbed legs are grayish. Its black beak is thus adapted to its way of feeding and is used to scan the bottom of the water and mud in search of food. Precisely issue food, Chilean flamingo pink gets this through the many crustaceans devour greedily but also thanks to the various water plants, algae and single-celled organisms. Like all flamingos, the Chilean flamingo lays a single white egg on a mud heap. Incubation lasts one month and chicks are born with a small gray duvet, they remain in the nest for about 10 days, during which time they are fed with a kind of pigeon crop milk from the parents. We find the Chilean Flamingo in temperate regions of South America, nestled on secluded lagoons and shallow waters. The nest is built by both parents, it is mud stacked to a height of 30cm to 40cm diameter, which is a real barrier to heat and the rising waters. It is therefore listed on sea coasts, salt lakes, either in the Peruvian Andes, Chile, Argentina and Bolivia. The Chilean flamingo is vulnerable to changes in habitat and natural predators are few anyway, thanks to the inhospitable places of residence. The main predator remains human and gulls that eat the eggs.